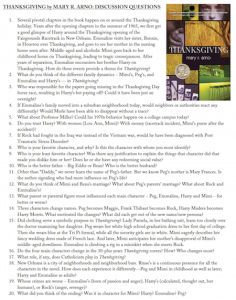 If you’d like to download the one page pdf of the book club discussion questions for Thanksgiving, please CLICK HERE or on the image at left! Several pivotal chapters in the book happen on or around the Thanksgiving holiday. Years after the opening chapters in the summer of 1965, we first get a good glimpse of Harry around the Thanksgiving opening of the Fairgrounds Racetrack in New Orleans. Emmaline visits her sister, Bonnie, in Houston over Thanksgiving, and goes to see her mother in the nursing home soon after. 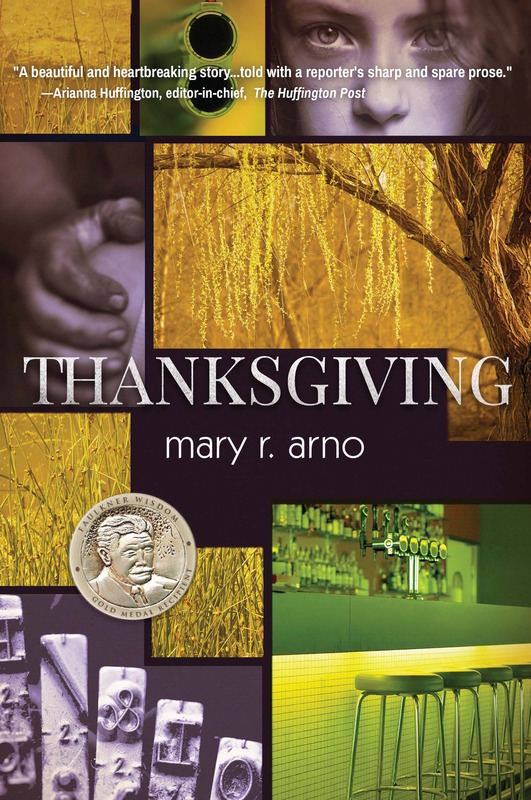 Middle-aged and alcoholic Mimi goes back to her childhood home on Thanksgiving, leading to tragic consequences. After years of separation, Emmaline encounters her brother Harry on Thanksgiving. How do these events provide a theme for Thanksgiving? What do you think of the different family dynamics – Mimi’s, Peg’s, and Emmaline and Harry’s — in Thanksgiving? Who was responsible for the papers going missing in the Thanksgiving Day horse race, resulting in Harry’s bet paying off? Could it have been just an oversight? If Emmaline’s family moved into a suburban neighborhood today, would neighbors or authorities react any differently? Would Merle have been able to disappear without a trace? What about Professor Miller? Could his 1970s behavior happen on a college campus today? Do you trust Harry? With women (Lou-Ann, Mimi)? With money (racetrack incident, Mimi’s purse after the accident)? If Rock had fought in the Iraq war instead of the Vietnam war, would he have been diagnosed with Post Traumatic Stress Disorder? Who is your favorite character, and why? Is this the character with whom you most identify? Who is your least favorite character? Was there any justification to explain the things that character did that made you dislike him or her? Does he or she have any redeeming social value? Who is the better father – Big Eddie or Beau? Who is the better husband? Other than “Daddy,” we never learn the name of Peg’s father. But we know Peg’s mother is Mary Frances. Is the author signaling who had more influence on Peg’s life? What do you think of Mimi and Beau’s marriage? What about Peg’s parents’ marriage? What about Rock and Emmaline’s? What parent or parental figure most influenced each main character – Peg, Emmaline, Harry and Mimi – for better or worse? Three characters change names. Peg becomes Maggie, Frank Thibaut becomes Rock, Harry Madere becomes Harry Morris. What motivated the changes? What did each get out of the new name/new persona? Did clothing serve a symbolic purpose in Thanksgiving? Lady Pamela, in her bathing suit, leans too closely over the doctor examining her daughter. Peg wears her white high school graduation dress to her first day of college. Then she wears blue at the Tri Pi formal, while all the sorority girls are in white. Mimi eagerly describes her fancy wedding dress made of French lace. And later, Mimi anticipates her mother’s disapproval of Mimi’s middle-aged dowdiness. Emmaline is climbing a rig in a miniskirt when she meets Rock. Do the four main characters change in the 30-plus years Thanksgiving covers? How? Who changes most? What role, if any, does Catholicism play in Thanksgiving? New Orleans is a city of neighborhoods and neighborhood bars. Rinse’s is a continuous presence for all the characters in the novel. How does each experience it differently—Peg and Mimi in childhood as well as later; Harry and Emmaline as adults? Whose crimes are worse – Emmaline’s (born of passion and anger), Harry’s (calculated, thought out, but humane), or Rock’s (anger, revenge)? What did you think of the ending? Was it in character for Mimi? Harry? Emmaline? Peg?